Ergonomically designed, the Lenovo S60 smartphone boasts an eye-catching, high-gloss rear cover with multiple color options. At just 7.7mm thin and 128g in weight, it's also sleek enough not to cramp your style. Its design makes it more attractive to the users. It uses a 1.2Ghz 64-bit quadcore Qualcomm Snapdragon processor which is coupled with 2GB RAM. Apps and gaming are smooth in this phone. It gives fast movie and gaming experience. The S60 is loaded with a powerful 13MP rear camera which lets you take high quality images around you. It also has a 5MP secondary camera which is good for taking selfies and for video calling. Lenovo introduced a new simplified interface for camera application. It provides multiple shooting modes and in-built beautification feature. Multiple shooting modes give you creative flexibility and the easy-to-apply beautification features keep you looking young, and button-free gesture controls give you more freedom. The S60 supports high-speed LTE (4G) networks for the fastest data connectivity, helping you reach your full enjoyment potential when browsing, watching, gaming or chatting online. It also supports 3G,EDGE and GPRS connectivity. It features Bluetooth, WiFi 802.11b/g/n and WiFi hotspot communication technologies. It has 5-inch (12.7 centimeters) IPS capacitive touch screen display with 1280 x 720 pixels resolution and 294 ppi pixel density. It lets you enjoy the latest apps, photos, videos, and games at their purest in vibrant HD. Display features in-plane switching (IPS) that allows for nearly 180-degrees of wide-angle viewing. It is preloaded with awesome Lenovo apps. Lenovo's built-in DOit series of apps let you and your device do more. In a few clicks, for instance, you can share data with other devices without a network, optimize device performance, prevent viruses and malware, or back up your contacts, SMS, & call logs and more. There is even an app where the background graphics will change automatically to match the actual weather. Lenovo S60 runs on android 4.4 kitkat. Android 4.4 takes system performance to an all-time high by optimizing memory and improving touch screen responsiveness and accuracy. This means you can listen to music while browsing the web, or race down the highway with the latest hit game, all without a hitch. The OS is upgradable to the latest version Android 5.0 lollipop. Two phone numbers in one smartphone is great whether you're separating business and pleasure, travelling to a different country, or simply want to take advantage of different service providers to save money. With dual standby, both SIMs are active and ready to receive a call. So when one SIM is put to use, the other will automatically go on hold. With all these features Lenovo S60 competes with the YuYureka, HTC 526G+ and YuYuphoria. 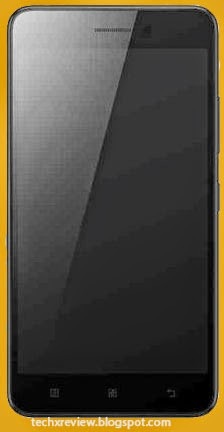 Lenovo S60 is available in Amazon and flipkart.